1	Enrollment in paperless billing 2	An upcoming due date 3	A new bill 4	A new account statement and more. For customers without online access or who prefer to pay by phone, Flagstaff offers a toll-free number with multilingual customer support specialists available to take your payment between 6 a.m. and 6 p.m. Point & Pay’s customer service specialists’ best illustrate their commitment in providing high quality service by guiding you through the payment process step-by-step and accommodating whatever your needs may be. To pay by phone, please dial (844) 368-5925, and select Option 2. The City of Flagstaff’s Purchasing Section was awarded the Achievement of Excellence in Procurement (AEP) Award by the National Purchasing Institute for the eighth consecutive year. In 1995, the National Purchasing Institute established a program designed to recognize organizational excellence in public procurement. The Achievement of Excellence in Procurement® (AEP) is awarded annually. This prestigious award is earned by those organizations that demonstrate excellence by obtaining a high score, based on 33 standardized evaluation criteria. The evaluation criteria are designed to measure innovation, professionalism, productivity, procurement knowledge, professional purchasing certifications, e-procurement and leadership attributes of the procurement organization. 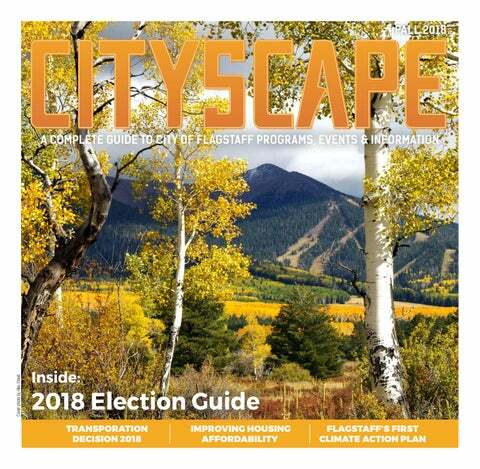 Moreover, for fiscal year 2018, the City of Flagstaff was one of only 11 government agencies in Arizona and one of only 65 cities in the United States and Canada to receive the award. The City of Flagstaff has seasonal parking restrictions that begin November 1 and continue through April 1. The restrictions state that “no person shall park, or permit to be parked, on any street between midnight and 7 a.m.”. Although there are exceptions to the ordinance which are identified below, the City of Flagstaff is asking citizens to remember that the purpose of this ordinance is to allow street staff to thoroughly clear the streets of snow and ice. The ordinance for the safety of the community and will be in effect even if it is not snowing outside. There is no one hour “grace period”. Vehicles may be cited at 3 a.m. The Flagstaff Police Department will enforce the parking restrictions and you could receive a citation even if it is not snowing, however; if it is snowing and an officer sees the violation you will receive a citation and your vehicle may be towed to ensure the safety of the community and snow removal staff. Winter Parking Ordinance exceptions (Flagstaff City Code: 9-1-1-3). The seasonal parking restriction allows vehicles to remain parked on specifically designated streets in the downtown area until 3 a.m. The restriction shall be in effect from 3 a.m. until 7 a.m. for the following areas: a). Both sides of Leroux Street from Benton Avenue to Phoenix Avenue, and from Route 66 to Cherry Avenue. b). Both sides of Benton Avenue, Cottage Avenue, and Phoenix Avenue from Leroux Street to Agassiz Street. c). Both sides of Aspen Avenue from Beaver Street to Agassiz Street. d). Both sides of Birch Avenue and Cherry Avenue from Beaver Street to San Francisco Street. The current ordinance does contain approved locations that are exempt to the parking prohibition. These exempted locations are as follows: a) The north side of the westerly one thousand (1000) feet of Coconino Avenue. b) Both sides of Pine Cliff Drive, for a distance of nine hundred (900) feet south of the south curb line of Ponderosa Parkway. e). The North side of Route 66 from Beaver Street. to Agassiz Street. c) Both sides of Locust Street (formerly Cottonwood Street), for a distance of three hundred fifty (350) feet south of the south curb line of Ponderosa Parkway. f). Both sides of Agassiz St. from Route 66 to Birch Ave.
d) All public streets in the Aspen Place at the Sawmill development. All other streets in the downtown area, including both sides, the entire lengths of San Francisco Street and Beaver Street will maintain the midnight to 7 a.m. parking restriction. e) Streets in those areas of the City that have been zoned to the Traditional Neighborhood District zoning designation. The City of Flagstaff and the Flagstaff Police Department would like to thank members of the public preemptively for their compliance. City of Flagstaff Holiday Garbage, Recycle and Landfill-Hazardous Product Center Schedule Thanksgiving Day (Nov. 22, 2018) Landfill-Hazardous Product Center (HPC)- CLOSED Thursday’s collection moves to Friday, Nov. 23, and Friday’s collection moves to Saturday, Nov. 24. Christmas Day (Dec. 25, 2018) Landfill-HPC - CLOSED Every collection day moves one day later (e.g. : Tuesday collection moves to Wednesday, Wednesday to Thursday... Friday to Saturday) New Year’s Day (Jan. 1, 2019) Landfill-/HPC - CLOSED Every collection day moves one day later (e.g. : Tuesday’s collection moves to Wednesday, Wednesday to Thursday... Friday to Saturday) ​Landfill-HPC Holiday Hours on Christmas Eve & New Year’s Eve 7 a.m. – noon PLEASE CALL (928) 213-2110 WITH ANY QUESTIONS. The Flagstaff Police Department is concerned with the safety, peace and quality of life in our community. We would like to provide information to consider when hosting a party:  Please be respectful of your neighbors and  Have a designated sober person to superinform them of your intent to have a party, vise intoxicated individuals and monitor working cooperatively to maintain the for alcohol intoxication. peace of the neighborhood.  Keep noise down to prevent disturbing the  Offer a variety of food and non-alcoholic peace and quiet of the neighborhood. drinks to guests.  Pick up all trash and remnants of the party  Verify no one under the age of 21 is consuming any form of alcohol. f) ARS28-1381 DUI: It is unlawful for a person to drive or be in actual physical control of a vehicle while under the influence of intoxicating liquor, any drug, or a vapor releasing substance containing a toxic substance. g) FCC6-01-001-0010B Resisting an Officer: If an Officer is exercising their official duties, b) ARS13-1203 Assault: Intentionally, know- it shall be unlawful for any person to interfere ingly or recklessly causing any physical injury with, resist, delay, or obstruct an officer. to another person. h) FCC6-8-001-005 Party Response: Provides c) ARS4-244.41 Underage consumption: For a person less than twenty-one years of age to have in the person’s body any spirituous liquor. for recovery of cost associated with response to large parties, gatherings, or events. The second response ordinance states, that should a second or increased police response for an unruly party, gathering, or event deemed by d) ARS4-241M: Person under the age of 21 the police department as a threat or hazard to who solicits another person to provide alcothe public welfare is subject to a fee for police hol. services to the responsible persons of the une) ARS4-241Q: Providing alcohol to a person ruly party, gathering, or event. Such responses under 21. frequently create an unnecessary burden on available police resources of the city. telescopes at Lowell Observatory, Northern Arizona University, and the US Naval Observatory. 	Using explosives, scientists created a simulated lunar surface in the cinder field near Sunset Crater, complete with a network of craters modeled after authentic Moon craters for training astronauts and testing several lunar rover vehicle simulators (moon buggies) in the surrounding volcanic features. 	For decades Flagstaff has and continues to be an epicenter for space science studies. Join the Flagstaff celebration of one of humankind’s greatest achievements of setting foot on the Moon and attend the lunar activities happenings through 2019. Visit exhibits, attend lectures, book signings, demonstrations, or enjoy lunar photography, guided hikes or restaurants and bars offering moon-themed dishes and drinks. A calendar of events is available at flagstaffarizona.org/lunarlegacy. Photo courtesy of the Flagstaff CVB, location Root Public House. Flagstaff. The idea -- to capture the moment one experiences with a delicious dish or cocktail that is served to perfection that makes you delight in savoring the flavor, texture, aroma and fun – which brings a smile to your face with every mouthwatering bite or every sip of carbonated effervescence. Wipe the Smile on your Face will continue to evolve, always adding newly procured content and recipes. Visit flagstaffarizona. org/wipethesmile for a complete dining guide in addition to the featured locations and recipes. As with most Flagstaff CVB projects, the campaign has been locally sourced including models and photographer. United’s Vice President of the Denver Hub. “Offering customers new service to Denver gives them even more opportunities to connect to United’s domestic and international route network. We’re looking forward to connecting Flagstaff customers to the world and providing another new destination for our customers traveling through Denver.” “Our Business partners can now get to their destinations from Flagstaff and arrive in the same business day. We are eager to partner with United Airlines and have daily, non-stop to Denver and beyond.” said Airport Director Barney Helmick. The addition of a second airline is a huge win for the business community giving them another option to connect globally and makes Flagstaff more competitive to attract new industry,“ said, Business Attraction Manager Gail Jackson. For more information contact Airport Director, Barney Helmick at (928) 213-2933 or email bhelmick@flagstaffaz.gov. If you receive residential waste and recycling service, you’ve likely taken advantage of the City’s bulky trash collection service. While this free service allows for convenient disposal of numerous items that don’t fit in your trash bin, it can cause problems in our neighborhoods if not used correctly. The following tips will allow us to continue to efficiently collect your waste and keep Flagstaff clean. 1.Place it on the curb at the right time. This fall, commit to reducing your unnecessary idling. Why? �	Idling for more than 10 seconds wastes more fuel than turning the engine off and on again. �	Waiting for the train: train crossings can take up to three minutes; turning off your engine can be done safely. �	Idling is linked to increases in asthma, allergies, and heart disease. �	Waiting for a friend in the parking lot of your favorite store. �	Worried about damaging your engine? Today’s vehicles warm up more efficiently when they’re driving than sitting in the driveway. �	Picking up kids from school. Kids are especially vulnerable to poor air quality because they inhale more air per pound of body weight. �	Avoiding idling can save you money. re you an entrepreneur looking to create a profitable business that actively contributes to waste diversion in Flagstaff? Then the Innovate Waste Challenge is for you! The Challenge offers a chance to share your business ideas to convert a portion of Flagstaff’s waste stream into a marketable product. Through a partnership between the City of Flagstaff, Moonshot, and the Small Business Development Center, participants will compete for $8,000 in cash prizes and business coaching. Applications are due on March 5, 2019 so gather your team and start crafting your ideas to recycle, repurpose, or prevent waste. Details on the Challenge are available at www.chooseflagstaff.com/innovatewaste. As a Flagstaff resident, you receive a bulky trash pickup once every five weeks. Collection starts in each section on Mondays, so place items on the curb by Monday morning of your scheduled week. In an effort to keep our neighborhoods clean, please wait to place your items at the curb until the Sunday before your scheduled pick up week. To find out your collection week and sign up for reminders, visit www.recyclebycity. com/flagstaff. standard bin, yard waste, and small furniture items. Appliances, hazardous material, and construction waste are not accepted. You can find the proper disposal and recycling options for these items by visiting www.recyclebycity.com/flagstaff. 3.Keep it separated – move your green waste over. Help us divert your green waste by keeping yard debris and tree limbs separated and easily accessible from the rest of your items. This allows crews to easily collect it and prevent it from being disposed with other trash. Just make sure your pile is not any larger than 5x5x10 feet. ave you met a Master Recycler yet? This group of volunteers has been spreading the word about all things waste and recycling at events like Earth Day, Fix-it Clinics and the Farmer’s Market. They may have even knocked on your door to chat about how to recycle properly. Together they have helped inspire thousands of Flagstaff residents to reduce, reuse, and recycle more. Do you share a similar passion for inspiring sustainable behavior change in your community? If so, consider joining this group of community champions making Flagstaff a more resourceful community. In becoming a Master Recycler, you’ll learn from experts during an eight-week class that covers topics, such as curbside recycling, composting, sustainable behavior change theory, and more. You’ll also get in-depth tours of local waste and recycling facilities. Once you’ve completed the course, you and other Master Recyclers will educate other Flagstaff residents by tabling at community events, delivering presentations at your place of work, worship, or school and consult with businesses and events to reduce their waste. The next Master Recycler course will run one night a week for eight weeks starting in February. Course details are still being worked out, but you can be added to our waiting list and receive notifications by emailing dlenzen@flagstaffaz.gov or calling (928) 213-2158. You can also find out more information on the program by visiting www.flgmasterrecycler.com. FLAGSTAFF’S FIRST CLIMATE PLAN The City of Flagstaff is preparing for change. Since January, the City has been working with community members to create Flagstaff’s first Climate Action and Adaptation Plan. A draft Plan is ready for your review this fall. A climate plan is a way for a community to lay out how it will respond to local impacts from climate changes. This roadmap identifies ways for a community to prepare for negative impacts, creates opportunities for collaboration, and lists actions that governments, businesses, and residents can take. The draft Plan is ready for your feedback. Community input is needed to make sure the Plan addresses your concerns and questions. Climate preparedness will require action from everyone in the community. Now that we’ve put some ideas for action on paper, we want to hear from you to see if we’ve gotten it right. See the Share Your Thoughts box below for ways to get involved..
How will climate change in Flagstaff? 	Reduce Flagstaff’s community greenhouse gas emissions – how we contribute to climate change – by 80% by 2050. 	Prepare the city’s communities, systems, and resources to be more resilient to climate change impacts. 	Address climate change in a manner that prioritizes those most impacted and ensures the costs and benefits of climate adaptation and mitigation are equitably distributed. Hotter temperatures, from an increase in daily minimums, meaning fewer cold days. Less snowpack. More rainfall instead of snowfall. More severe drought conditions as temperatures rise. Increased wildfire risk for local forests. What are the benefits to taking action as a community? The benefits of a Plan are broad. The City is committed to prioritizing “win-win” solutions that have strong benefits for both the climate and other parts of the Flagstaff community. Some co-benefits include the following: Protecting natural areas can support recreation for residents and visitors. Preparation is far less costly than response. Programs that help us prepare can have a high return on investment (ROI). Climate action can help us support Flagstaff families, vulnerable residents and neighborhoods. We can improve quality of life and support the local economy. This Plan focuses on seven areas of our community. These focus areas will be affected by climate change, yet also present opportunities for action. How will this affect our community? Climate change is already here. Average temperatures in Coconino County have been rising since about the mid-1980s. Almost all years since 1985 have had average annual temperatures above the long-term average. There are many potential impacts of climate change in Flagstaff, throughout the community. A few examples: •	More days over 90 degrees, which could create demand for cooler homes or unsafe conditions for seniors who need to keep cool. •	Winter tourism could change due to warmer winters and less natural snow. While some businesses can easily adapt, others may have to change their operations. •	Our parks may require more water to keep playing fields ready for sports, increasing irrigation costs. •	Flooding could get worse, as the chance for extreme storms increases. •	The forest could be closed more often in the spring due to increasing drought conditions. What’s next? After hearing from Flagstaff community members and the Flagstaff City Council, the Plan will be revised to incorporate public feedback. On Nov. 20, 2018 the Plan will be presented to City Council for their review and consideration. If adopted, the Plan will guide decisionmaking and local action. SHARE YOUR THOUGHTS: COFFEE & CLIMATE An informal meeting to learn more about the Plan and ask questions of staff. Friday, October 19 7:30 a.m. – 9:30 a.m. Kickstand Kafe, 719 N Humphreys St COMMUNITY OPEN HOUSES Thursday, October 4 5:30 – 7:30p.m. Monday, October 8 5:30 – 7:30p.m. Thursday, October 11 5:30 – 7:30p.m. All three events will take place at the Murdoch Community Center, 203 E. Brannen Ave.
CITY COUNCIL MEETINGS City Council Draft Review #2 October 9 Council Work Session, 6 p.m. City Council Draft Review #3 October 23 Council Work Session, 6 p.m.
the country have been forced to remove items from their acceptable materials list or send significant amounts of formerly recyclable materials to the landfill. Moving forward, make sure you’re recycling the right stuff. Under the recent changes, you’ll no longer be able to recycle any plastic container that does not fit a bottle, jug, or jar shape. That means that your yogurt tubs, take-out containers, cups, plastic bags, and produce containers need to go in the trash. It is important to keep these and other non-recyclable items out of your recycling bin, as “wishful recycling” only makes the process more expensive and harder to recycle materials of value. If you have questions about these recent changes or you need to touch up on your recycling basics, visit www.recyclebycity. com/flagstaff or call (928) 212-2153. Got 15 minutes to keep Flagstaff beautiful? It’s time for the 12th annual 15-minute makeover! Join community members at 10:15 am on October 15, 2018 in picking up litter where you work, live or play. The Flagstaff Community Stewards program will supply trash bags, recycle bags, and disposable gloves if you need them. Sign up to participate on our Facebook event page or by sending an e-mail to mtwomey@ flagstafffaz.gov. After the event, post a photo of your group with your trash bags on our Facebook page with #Flag15 to be entered into a drawing for gift certificates to local restaurants! Wash and Huntington Dr. on October 20, 2018 from 8 a.m. – 12 p.m. We will be working on mitigating a new Join us for a Drop-off Day, Dump the Drugs invasive species in Switzer Canyon Wash. The and Shred-A-Thon event Saturday, October 27, Common Teasel is a thistle like plant that 2018, 10 a.m. – 2 p.m. Come to the Flagstaff aggressively spreads and overtakes native Police Department parking lot at 911 E Sawmill species. There will be volunteer opportunities to safely dispose of expired or unwanted drugs to cut seed pods, dig out plants, collect trash and syringes, latex paint, sensitive documents, and other improvement projects in Switzer electronic waste, and automobile tires. We Canyon Wash, off of Huntington Dr. We will will properly dispose of or recycle all items to also have a family friendly Make a Difference keep then out of our landfill and water system. Day Bingo game and a drawing for items Attendees can drop off up to two banker boxes donated by local businesses who support our of sensitive documents for shredding. No work. Lunch will be provided to volunteers commercial waste will be accepted. If you have at the close of the event. questions, please contact Maggie Twomey at Please bring a hat, reusable water (928) 213-2144 or mtwomey@flagstaffaz.gov. container, work gloves, sturdy shoes, and tools (shovels). Some tools will be provided. Contact Maggie Twomey at Make a Difference Day MTwomey@flagstaffaz.gov or (928) 213Join the City of Flagstaff for the 2018 Make 2144 with questions or to sign up as a a Difference Day event at Switzer Canyon volunteer. Drop-off Day - Put your waste in the right place! Photo: Amanda de Lano, photo entry in the Spring 2017 Open Space Photo Contest. Taken at the Waterbird Petroglyph site in Picture Canyon Natural and Cultural Preserve. Lumberjack March* | City Hall | 5 p.m. Downtown Pep Rally* | Heritage Square | 5:30 p.m.
For the parade route map, continuing updates, and free, family-friendly events, visit nau.edu/homecoming. Stay connected with your Lumberjack classmates and alma mater: update your alumni profile at nau.edu/alumni. n July 23, Flagstaff Water Services Reclaimed Water Program received the 2018 Program of the Year Award at the WateReuse AZ Annual Symposium! The Program was recognized for its diverse methods of using reclaimed water to enhance Flagstaff’s quality of life, protect its future supplies and make good use of every drop. Currently, water reclamation offsets Flagstaff’s drinking water consumption by 20 percent. The WateReuse Association, founded in 1990, is a national not-for-profit trade organization dedicated to promoting sustainable culture through water recycling. The Association distributes accurate information about reclaimed water and advocates legislation for increased water reuse options. WateReuse AZ brings together a wide variety of water professionals to support the development of reclamation and advanced treatment endeavors in our state. This award showcases the many ways reclaimed water enhanced recreational, economic, and sustainability needs in Flagstaff in 2018: »» The Bushmaster Park Pump Station was constructed to provide a higher volume of reclaimed water to the area and accommodate future demands. The City of Flagstaff is committed to the responsible and safe use of reclaimed water. In response to public concern, a commission was formed in 2012 to investigate Compounds of Emerging Concern (CECs). Its five-year study, completed in 2018, concluded “there were no data to suggest that the continued use of reclaimed water provides undue risk to human health.” This determination allowed for the City to move forward to the next step – an Advanced Treatment Feasibility Study – reviewing the potential costs, benefits, and new infrastructure associated with Potable Reuse for Flagstaff’s future. As a leader for emerging water reuse technologies, our Reclaimed Water Program engages in every effort to ensure safety, transparency, and community support. »» Frances Short Pond, part of the Rio de Flag stormwater system, is regularly topped off with class A+ reclaimed water. The Pond received a new aerator this year to provide balance for its fish and plant life. Mary Water Treatment Plant in an extended power outage. The next step is procurement of up to five generators which will meet the energy requirements to produce drinking water in the event of an emergency. It takes a lot of power to pump 75% of our water from 1500 feet below the ground’s surface and run it through a treatment process. The bid review process is underway for the purchase of the first three generators, with delivery anticipated by the end of the fiscal year (June 30, 2019). Once the new generators are delivered, the rental units will be phased out. This backup plan ensures Flagstaff residents have a secure source of drinking water, especially during an emergency. Flagstaff celebrates 30 years of water conservation! Thirty years ago, Flagstaff’s per-person water consumption was on the rise and in 1989, we reached our highest per capita water use at 186 gallons per person per day. To address this increasing water use, in July 1988, the Flagstaff City Council adopted the first water conservation ordinance, which marked the beginning of many significant actions that have reduced Flagstaff’s water use. The community uses the same volume of drinking water today as we did in 1988 even though our population has increased by over 40%. The community now uses 91 gallons per person per day – a dramatic decrease in just 30 short years. Stay tuned for lots of fun events the City’s Water Conservation Program will be hosting this year as we celebrate this great achievement! Recycled water in your backyard: weigh in - take our survey! »» Reclaimed water also sustains Picture Canyon’s rich ecosystem as it travels through the Rio de Flag. Flagstaff consistently releases class A+ water into the Rio to benefit the local environment and replenish our aquifers. »» Reclaimed water is used throughout the summer on our parks, school grounds, golf courses, public landscapes, and on the NAU campus. hat do you think about advanced treatment for Flagstaff’s water? Do you want to be part of the conversation on potable reuse? The Recycled Water Survey is now available online on the Flagstaff Community Forum at https://www. flagstaff.az.gov/3284/Flagstaff-CommunityForum. As we investigate secure water sources to meet Flagstaff’s future needs, options to recycle Class A+ reclaimed water to purified drinking water could provide a reliable resource. A transparent community dialogue is critical in our decision-making as we look into safety measures, costs, and other factors involved in advanced treatment. To learn more about what these terms and processes, please visit our website: https:// www.flagstaff.az.gov/3982/Terms. The survey only takes a few moments to fill out. Please help us understand our city’s concerns as we move forward together toward a safe, reliable, and sustainable water future! ongoing operations and maintenance. The study also considers cultural and environmental impacts to ensure minimal disturbance over the pipeline’s 40-mile journey to Flagstaff. The City anticipates that this analysis will be finished in early 2019. Advanced Treatment for Potable Reuse Flagstaff currently treats our effluent to Class A+ reclaimed quality. About 20% of the total reclaimed water produced is delivered back to Flagstaff customers, used by schools, parks and commercial use for landscapes, lawns and snowmaking. The remainder of the Class A+ reclaimed water is discharged into the Rio de Flag waterways, which nourishes local ecosystems and eventually replenishes our aquifer. This is a form of Indirect Potable Reuse (IPR), sending reclaimed water through an “environmental buffer,” allowing for natural filtration and blending with the ground water supply over a period of time. In 2018, the Arizona Department of Environmental Quality (ADEQ) joined a growing number of states adopting rules allowing further purification of Class A+ reclaimed water to produce potable drinking water. This ruling opened the door for new water supply options in our arid state. The Advanced Treatment Process would build on our current reclamation system, producing purified drinking water, which could then recharge the aquifer or Upper Lake Mary. This can be accomplished either through an IPR process, or directly integrating into the water distribution system as a Direct Potable Reuse (DPR) option. Moving to Advanced Treatment is not cheap. It involves extensive new infrastructure and technology to safely purify Class A+ reclaimed water to augment our potable supply. Water Services, in conjunction with Brown and Caldwell Engineering, recently completed a feasibility study on Advanced Treatment at our two water reclamation plants which broke down the options and their potential costs. Indirect Potable Reuse (IPR) Flagstaff’s options for increased IPR include: »» Aquifer Recharge with reclaimed water: injecting into an aquifer to be later pumped and processed. »» Aquifer Recharge with advanced-treated (purified) water: advanced treatment of the water before returning it into the aquifer, either through direct injection or environmental buffers. education page. The City continues to explore all options, which will be presented to the public in future community forums. This an important step forward, as planning and construction could take upwards of a decade to complete. Please join the conversation on potable reuse now! Take our Recycled Water Survey, available on the Flagstaff Community Forum webpage. We need community input to shape the planning process as we move into to a sustainable water future together. he Coconino County Flood Control District (FCD) is charged with reducing the risk of flood loss, minimizing the impact of floods on human safety, health and welfare and restoring and preserving the natural and beneficial values served by floodplains. Why were properties in Flagstaff, Page and Fredonia excluded from the Flood Control District? At the time the FCD was established in 1984, the interpretation of state statute was that those cities and towns like Flagstaff, Fredonia and Page that administer their own floodplains could “opt out” and not be included in the taxing area for the FCD. However, the recent review by independent legal counsel determined that independent floodplain administration does not exempt communities within the County’s boundaries from their FCD tax obligations. Does this change impact flood insurance requirements for my property? No. The requirement for flood insurance is determined primarily by whether a property is in a Federal Emergency Management Agency (FEMA)-designated flood area. If your home or business is in a high-risk flood area (known as a Special Flood Hazard Area or SFHA) and you have a mortgage through a federally regulated or insured lender, then you are required to carry flood insurance. The FCD Board's affirmation does not impact flood area designation by FEMA. What will be the resulting tax bill to homeowners and commercial properties given the boundary affirmation? The new annual FCD tax rate for residential and commercial properties is 18.08 cents per $100 of assessed property valuation. A home valued at $300,000 will be taxed approximately $54.24. Based on the County’s 18% commercial assessment ratio, the FCD tax bill for a commercial property assessed at $500,000 would be $162.72. Program will helped residents replace over 23,000 square feet of grass with low water landscapes. Our planned expenditure of $5,800 for low water landscape rebates will result in approximately 676,400 gallons of water saved annually. All the resources and information you need are at www.flagstaff.az.gov/lowwaterlandscape or call us at (928) 213-2403.
saving potential, community preference, and cost effectiveness. At the end of this process the Water Conservation Program will have a strategic plan that provides direction for the next 20+ years. The Flagstaff community is invited to participate in this process through community meetings and online surveys. Please check www.flagstaff. az.gov/WCPlan to find out how you can get involved! around town, you can easily learn about these projects by visiting Water Services’ “In Your Neighborhood” page. It’s a map, it tells a story; it’s our way of keeping you informed. Propositions 419, 420, and 421 present an integrated and comprehensive approach to improve Flagstaffâ&#x20AC;&#x2122;s transportation system, address congestion, and plan for our future. The three proposals work together to address the diverse transportation needs of our community. INTEGRATED PLAN: These proposals present a comprehensive regional approach to address our street, pedestrian, bicycle, and transit needs. New Road* Widening Existing Road* * Road projects are Complete Streets that include bike lanes and sidewalks that are included in the Pedestrian/Bicycle project figures. Lone Tree Railroad Overpass from Butler Ave. to Route 66. Bus Routes Po w J.W. Connecting Our Community Proposition 419 is a continuation of an existing tax and the cost would remain 42.6 cents on a $100 purchase. Proposition 419 would remain in effect for the next 21 years. Improving traffic flow: Continuation of the existing tax will allow Flagstaff to construct the most essential projects for the next 21 years. This includes major efforts to address congestion along West Route 66 and Butler Avenue and reduce reliance on Milton Road. Improving bicycle and pedestrian pathways: Proposition 419 adds missing segments of sidewalks, bike lanes, and trails throughout the City. Increasing safety: Proposition 419 includes traffic signal modernization, advanced traffic management systems, and dark sky street lighting to improve public safety. PLANNED* PEDESTRIAN & BICYCLE PROJECTS SIDEWALKS BIKE LANE FUTS TRAIL CROSSINGS * All roads projects include Complete Streets with bike lanes and sidewalks. The anticipated completion of the Lone Tree Railroad from Butler Ave. to Route 66 will provide an alternative to Milton all the way from 1-17 to Downtown. The Fourth St. overpass bridge was completed in 2006 with Transportation Tax funding, providing a vital link between north and south Flagstaff. The proposed Lone Tree overpass could have a similar impact on connectivity and traffic flow. Investing in infrastructure: If we continue to wait, the future cost to build the overpass will likely be greater as interest rates and the cost of labor and materials continue to increase. Helping traffic flow better: Proposition 420 will help traffic flow better by building an overpass between Butler Avenue and Route 66 at Lone Tree Road. Combined with the improvements to Lone Tree Road in Proposition 419, the Lone Tree Railroad overpass is designed to provide an alternative to Milton all the way from I-17 to Downtown. Proposition 420 will cost 23 cents on a $100 purchase. Proposition 420 would be in effect for the next 20 years. More Buses, More Often Proposition 421 will cost 15 cents on a $100 purchase. Proposition 421 would be in effect for the next 11 years. Leveraging Resources: If Proposition 421 passes, NAU has committed to paying more than $1 million per year to fund a Universal Access Pass (UPASS) program to open up transit for all students. New tax 15 cents on a $100 purchase The Mountain Line Transit Tax was renewed at a rate of 29.5 cents on a $100 purchase in 2016, and this proposal allows the transit system to better respond to public requests for more frequent, and later-running bus service. If Proposition 421 passes, the total transit tax rate would be 44.5 cents on a $100 purchase. WHY IS THIS QUESTION ON THE BALLOT? Goal NH.3: Make available a variety of housing types at different price points to provide housing opportunity for all economic sectors. Parks and Recreation The City of Flagstaff’s Parks and Recreation Department is your community connection for parks, swimming lessons, leisure classes, programs, entertainment and special events. You can always count on us to do our very best to serve the recreation needs of the community. We take pride in knowing we offer everything you and your family like to do. You’ll find just what you need at four recreation centers, an ice rink, more than 24 developed parks, one pool, tennis courts, basketball courts, two-disc golf courses, 17 ballfields, 50 miles of the Flagstaff Urban Trail System (FUTS), two skate parks and a BMX park providing year round programs and activities. If you need more information about any of our programs or facilities, please visit us at www.flagstaff.az.gov/recreation. Flagstaff’s Scholarship Program offers assistance (a 50% price reduction) to eligible Flagstaff families and individuals with limited financial resources to participate in recreation programs. Parks and Recreation promotes physical, mental, and social well-being and participation in leisure, recreational, and fitness activities has proven to provide safe, healthy activities, reduce health risks and issues, and strengthen family and community relations. Families and individuals can qualify by submitting documentation of eligibility in other qualifying subsidized programs. The City of Flagstaff subsidizes program fees up to 50% of the cost for daily admissions, annual passes, swim lessons, staff organized programs and ice skate rental. Visit www.flagstaff.az.gov/recreation for more information. You can register for classes and purchase or renew a membership online all from the comfort of your own home. You can also browse and review information for classes and activities and print out your own household calendar. To use the online system to register for programs and activities, you’ll need a credit card and your Household ID number. If you have a previous receipt, your Household ID number will be located in the top left corner of the receipt. If you are unable to locate this information or are new to Flagstaff, please call (928) 213-2300 to set up your account. WebTrac requires a payment with a Visa, MasterCard, or Discover Card. 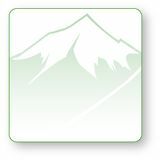 You can access our online registration system directly at https://www.flagstaff.az.gov/1532/Online-Registration-WebTrac. 1702 North 4th Street Flagstaff, AZ 86004 (928) 213-2300 For more information please visit our webpage at www.flagstaff.az.gov/ aquaplex The Aquaplex is a recreation center designed for family fun and fitness. Enjoy year-round activities and programs that include swimming, indoor rock climbing, and group fitness classes. An admission fee is charged to participate in activities and programs in this facility either by paying daily admission or purchasing a one, three, six, or twelve-month membership. Meeting rooms and a party room are available for rent by the public. Please visit our webpage at www.flagstaff.az.gov/aquaplex for additional information and pricing. Today’s employers are encouraged to make fitness and wellness programs available as part of an employee benefit package. The Aquaplex Business Pass Program offers a reasonable discount for annual passes to all businesses and employers – from small local businesses to large organizations. The employer buys into the program by contributing an annual fee that in return offers discounts on annual memberships for their employees. By participating in this program, employers and employees are also rewarded with increasing discounts based on length of participation. For more information on the Aquaplex Business Pass Program and how you can participate, please contact the Guest Services Coordinator at (928) 213-2307. Did you know this about parks? ``Parks currently maintains and operates approximately 678 acres throughout the City as well as over 56 miles of the Flagstaff Urban Trail System. ``Staff collects trash and recycling at all parks locations every day of the week and separates out debris that did not make it into the proper receptacle. ``Three hydration stations with filtered water were added to Thorpe Regional Park, Foxglenn Community Park, and Heritage Square so you can refill your own bottle! ``There is a bicycle repair station in Wheeler Park with a fix-it stand to pump tires, adjust brakes, and more. ``The disc golf course at Thorpe Regional Park added nine new tees and pins to transform into a challenging 27-hole course. ``Both Joel Montalvo and Guadalupe Parks received improvements over the summer. Go check them out! Might of Might Personal Training Functional, movement-based fitness programming at the Aquaplex for every fitness level. Discounts for members and bulk session purchases. Partner with us and work toward a healthier, happier you! Climbing Wall Challenge yourself in a new way by scaling our climbing wall. Different routes offer a range of difficulty. All levels welcome. Weight limits: 35-250 lbs. Sunday 12 p.m. - 2:50 p.m. Monday-Friday 4 p.m. - 6:50 p.m. Saturday 10 a.m. - 4:50 p.m. Adult Only Climb Friday 7 p.m. - 7:50 p.m.
Ballet Classes are available, including single, drop-in rates, and four class passes for beginner, contemporary dance, and advanced classes. Instruction strives to integrate both technique and lyrical expression. The Aquaplex specializes in balance, mobility and core strength programming. Let us help you get functionally fit today! We also participate in Silver Sneakers and Silver & Fit and offer several “Gold” fitness classes for our 55+ guests. See each month’s Group Fitness Calendar at flagstaff.az.gov/recreation for a full list of classes, days, and times. We strive to create fitness programming for all ages available at accessible days and times. Mandatory evaluation of players required on Sunday, October 28 at 5 p.m. at Jay Lively Activity Center. Visit flagstaff.az.gov/downtown for the latest event information including event relevant Council meetings, street closures and event dates. The center offers rooms that you can rent at an unbeatable price! You can host birthday parties, baby showers, and meetings. Please call the center for pricing. Enjoy billiards, ping-pong, air-hockey, foosball, and more board games than you can imagine! Utilize this comfortable space to play, read, relax, study or watch TV. Open Hours** Monday – Friday: 1 p.m. - 8 p.m. (18+) Monday – Friday: 2:15 p.m. - 8 p.m. (17 and under) Saturday:	10 a.m. – 4 p.m. (All ages)	Sunday:	Closed **The center is open from 10 a.m. to 8 p.m. on days that FUSD schools are closed due to a snow day schedule or regularly scheduled breaks. This will include the two-week Winter break from December 24, 2018 - January 4, 2019. Note: If FUSD school district is closed due to snow or other unforeseen weather conditions, all games and practices are also canceled. During FUSD winter break, all practices will be held at the Hal Jensen Recreation Center. *Scholarships are available to qualifying households. Players are encouraged to participate in the skills, drills and draft process. This allows the coach to assess their skills so that teams will be evenly matched. If your child cannot make the draft, he or she will be placed on a team. Please dress comfortably to participate in drills. Please note that only gym shoes are allowed on the basketball court. Saturday, November 17 10 a.m. - 12 p.m. If you are interested in becoming a volunteer coach or paid official for the 2018 Youth Basketball League Season, please call the center. Tuesday:	2:30 p.m. - 4 p.m. Wednesday:	11 a.m. - 2 p.m. and 5:30 p.m. - 7 p.m. Thursday:	2:30 p.m. - 4 p.m. Friday:	11 a.m. - 2 p.m. and 5:30 p.m. - 8 p.m. Saturday:	1 p.m. - 4:30 p.m. *Public Skating hours are subject to change, depending on group schedules. Please view our online calendar for the most up to date hours. Public Skating Rates (per person)	Daily Admission Youth (5-17 years)	$3.50	Adult (18 & up)	$6.75	Active Military/Senior (55+)	$5.00	Skate Rental	$4.00	8 p.m. – 10 p.m.	12 p.m. – 2 p.m. 12 p.m. – 2 p.m.
9 a.m. – 10:30 a.m.	9 a.m. – 10:30 a.m. Lessons are available through the Flagstaff Figure Skating Club on Wednesday evenings, please contact the Flagstaff Figure Skating Club at: http://flagstafffigureskatingclub.com/content/learntoskate. The Joe C. Montoya Community and Senior Center is a recreation center designed for family fun and fitness and hosts Coconino County’s Senior Lunch Program. Enjoy year-round activities and programs, including group exercise, dance, leisure classes, and a fitness center. Meeting rooms are available for rent by the public, clubs, groups, and organizations. For all your Youth Hockey needs, please see the Flagstaff Youth Hockey Association at their website: https://www.fyha.org/. Book Exchange	Ongoing Beginning Spanish	Thursday	10:30-12 p.m. Billiards 18+	Monday-Thursday	8 a.m.- 8 p.m. Friday	8 a.m.-2 p.m. Contract/Party Bridge	Monday-Thursday	1 p.m. Cribbage Tuesday	1 p.m. Duplicate Bridge Tuesday	1:15 p.m. Pinochle	Monday	1 p.m. Scrabble	Wednesday	1 p.m. Train Dominos	Monday-Thursday	1 p.m. Table Tennis Club*	Tuesday/Wednesday 5-8 p.m. *A one-dollar ($1.00) donation for each session is appreciated as the club must pay for space and purchase quality equipment. This isn’t recreational, basement ping pong, players are expected to play at a higher level. For more information on this exciting group please call Jack Welch at (928) 714-0504. Mission statement The mission of the Flagstaff City-Coconino County Public Library is to inspire learning, enrich lives, and strengthen community. For 25 years, Flagstaff Athletic Club has been visiting FUSD elementary schools as part of an outreach program called Kids in Motion. We have donated more than $120,000 for FUSD elementaryy PE programs. Library Clubs, Events & Programs All library events are free of charge. Sign up for free computer and technology help. Receive assistance with Microsoft Suite (Word, Excel, Access, and PowerPoint), eBooks, email accounts, social media, Photoshop, and more. Downtown Library, 213-2330, and East Flagstaff Community Library, 213-2348. Please call the appropriate information desk to schedule an appointment. Come get inspired, read new things, write new things, and think new things along with other lovers of the written world. Everyone is welcome, from pros at prose to scribblers. Find information on the library’s website and Facebook pages, or join the Facebook group. Date & Time: First and Third Thursday of every month, 6 – 8 p.m.
Join the Flagstaff City-Coconino County Public Library for preschool story time for newborns to 5 year olds. The story time experience integrates many school readiness, language, and listening skills that will promote your child’s success in the classroom as well as their love of reading and learning. Story time activities may include singing, finger plays, knee bounces, and, of course, a story! Call the Downtown Library at 213-2381 or the East Flagstaff Library at 213-2348 for more details. Stop by for WiiU and PS4 gaming. Bring a friend and pick your game. Date & Time: First and Third Friday of every month 3 - 4:30 p.m. Location: Downtown Library Ages 12-18. Come stitch with us! All fiber arts and skill levels welcome. Knit, crochet, embroider, or stitch. Get help with projects already started, learn to knit (supplies and help available), and connect with the Flagstaff fiber community. House too cold? We can help. Attend a free home energy efficiency workshop and receive a supply kit and tips to help save money and energy in your house or apartment. Questions? Need to request childcare or Spanish translation? Want more information? Call 928-213-2144 or visit www.flagstaff.az.gov/homeenergy.